Iowa Politics is at the front of a new weekly program being hosted by my friend Kevin Hall Â (columnistÂ at The Iowa Republican ) and yours truly. 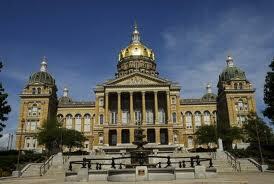 Â The program is at Webcast One Live Â and is called “The Iowa Legislative Hour”. Â It is live on Thursdays from around 4:00 (ish) to 5:00 (ish). Â The “ish” is because there is probably a 5-10 minute delay in starting since the prior show ends at 4:00 and we have to get in and situated. Â The show will also be available for playback… here’s a link to last week’s inaugural show . State Senator Brad Zaun  of Urbandale is graciously joining us each week, and we expect regular visits with State Senator Jack Whitver  of Ankeny and State Senator Mark Chelgren  of Ottumwa. 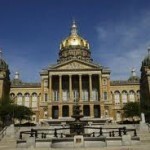 Â We try to cover issues currently before the Iowa Legislature, as well as other issues of political relevance in Iowa. Today’s show has been CANCELLED due to the wonderful pre-Spring weather that is on its way to Des Moines. Â We will be back on the air next Thursday, and expect to be there each week throughout the session. Â I hope you’ll check out the show, and perhaps call in with questions. Special thanks to J. Michael “Mac” McKoy and the team at Webcast One Live for making this show possible! Â This team is very professional and top notch!